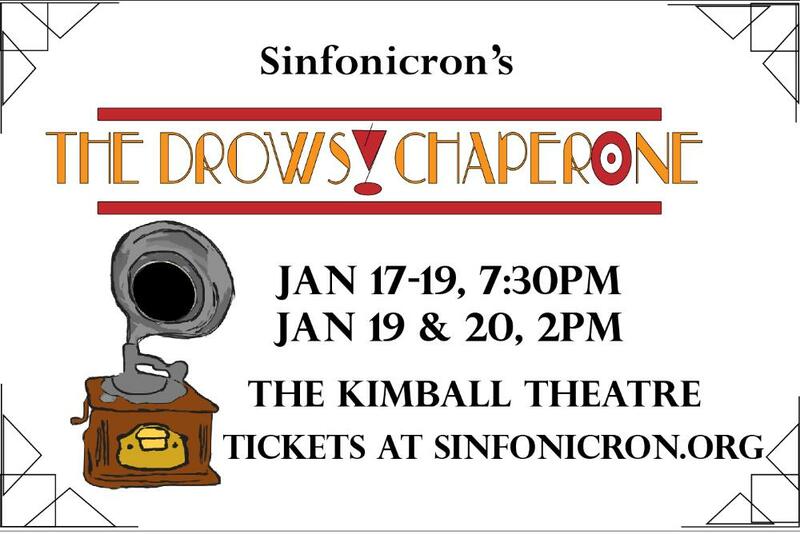 [PAST EVENT] Sinfonicron's Production of "The Drowsy Chaperone"
Come see Sinfonicron?s 54th musical production, ?The Drowsy Chaperone?, Jan. 17-20 at the Kimball Theatre! Purchase your tickets ($10 for students and $18 for adults) at Sinfonicron or visit the box office at the Kimball Theatre, open 10am-4pm on weekdays. Don?t miss our light-hearted, comedic, love letter to the American Jazz Age musical!